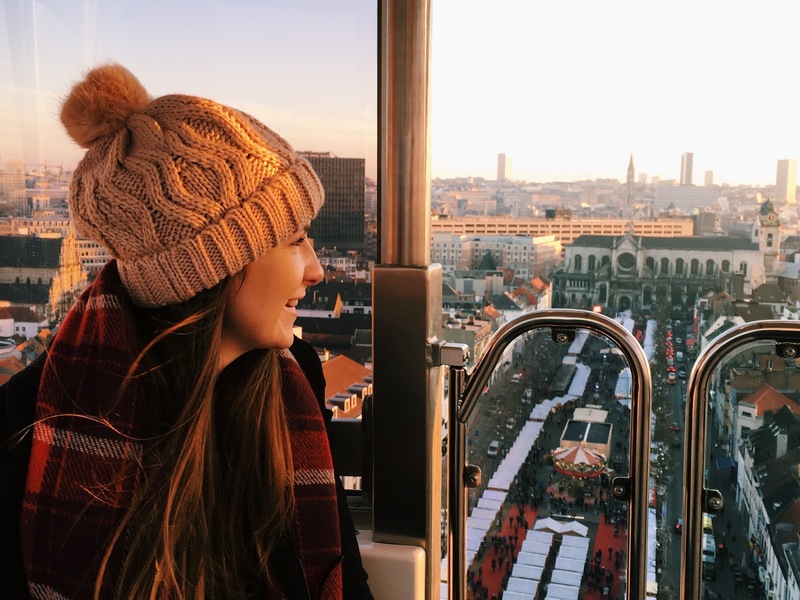 Brussels is capital of Belgium, as well as the administrative capital of the European Union, and is home to World famous french fries, beer, and of course chocolate. The iconic Grand Place, or De Grote Markt serves as the city’s centre, and attracts ten of thousands of tourists every year, with carpets of flowers in the summer and a spectacular light show at Christmas. Although the cobblestone square appears to be hidden initially, the square eventually reveals itself whilst approaching from one of six alleys. Lonely Planet recommends Rue de Harengs as the best initial impression, however the spired 15th Century town hall looks incredible from every side of the square! 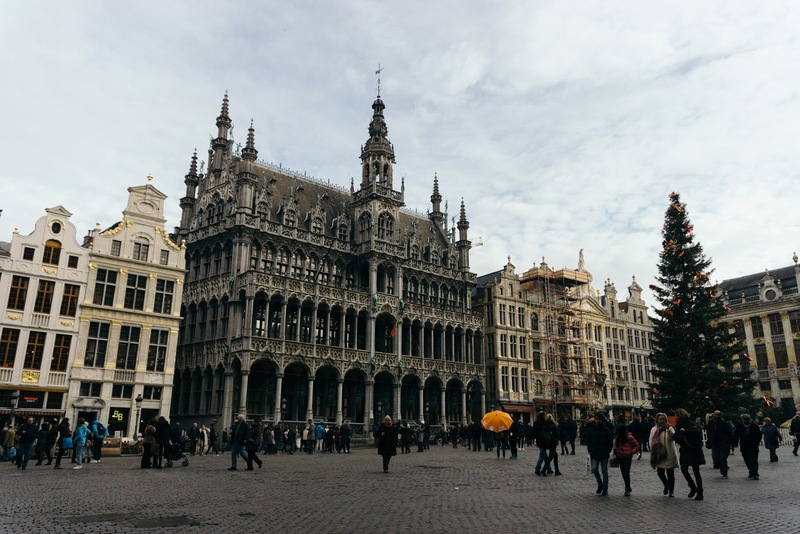 Although initially it’s tempting to opt for the cheaper option and stay outside the main tourist areas, I definitely recommend paying a little extra and staying close to the Grand Place. I searched websites like Booking.com, Tripadvisor, Expedia and Last Minute to try and find a good deal for a nice hotel near to the centre. 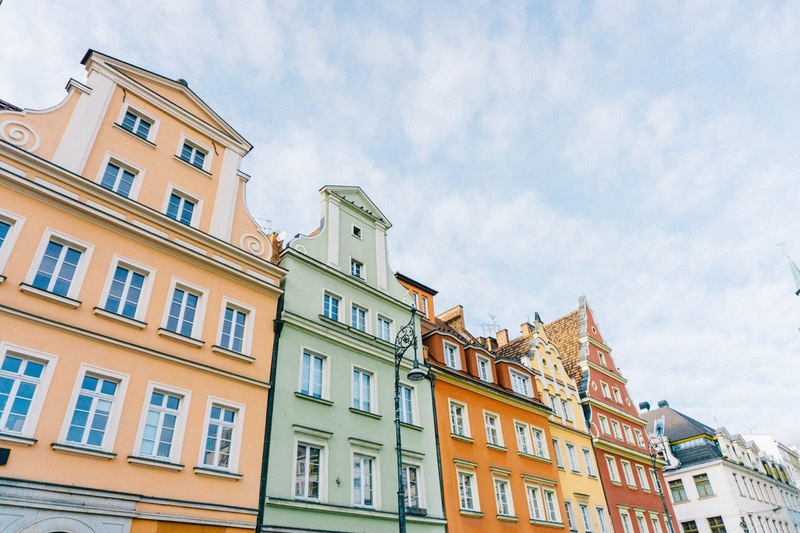 We ended up finding a great deal for an apart-hotel, a concept which I had never tried before, but the price and the location were both fantastic. I was glad that we were nearby after a busy day walking around the Christmas markets, especially after all the food and mulled wine! We stayed in B-aparthotel Grand Place, which was a 3 minute walk from the Grand Place square, and a 5 minute walk from the train station. As it is an ‘apart-hotel’, rather than your standard hotel, we were given a code to access the building, and then another code to access a safe with the keys to your room and helpful information. The room had everything that we needed, and as it was advertised as an apartment we had access to a microwave and a fridge too - which would be great if you were wanting to travel whilst not spending lots of money! The food in Brussels however, is definitely too good to miss. The first thing I noticed when walking from the train station was just how good Brussels smells, everywhere you go smells of chocolate! Every single street we passed featured at least one chocolate shop, with handmade delicacies, hot chocolate stands in their front doors, and waffle stands drizzled with toppings like Nutella and strawberries. We actually only sat down in a restaurant for one meal the two days we were there, as we spent all day nibbling on waffles, German bratwursts, french fries and chocolate. It definitely wasn’t the healthiest of trips, but it’s hard to resist when wandering the Christmas markets with a glass of mulled wine! 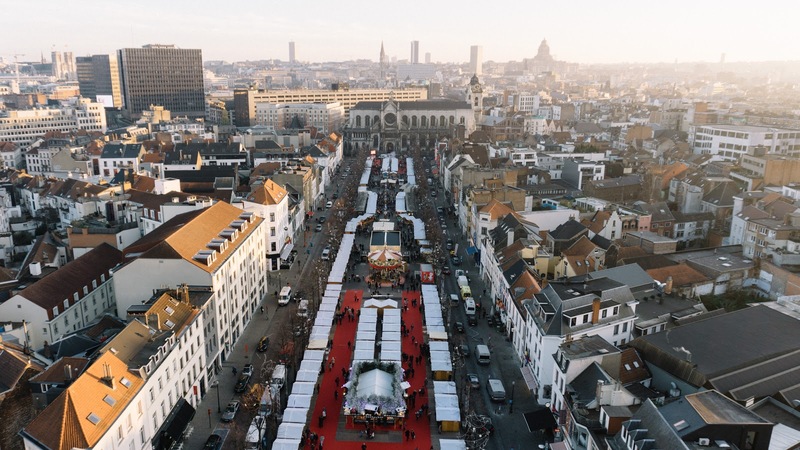 There was certainly an abundance of food and mulled wine stalls too, with Brussels' Plaisirs d’Hiver event organising 240 wooden chalets, each one with local food, Christmas trinkets, and handmade gifts. The Place Sainte Catherine featured the most food stalls, including some of a Japanese variety. Every half an hour you could view a beautiful light show whilst enjoying your lunch too, as the Church of Sainte Catherine displays impressive images of contemporary and traditional Japan, with blossoming cherry trees and origami which appeared almost 3D. However, in my opinion, the most impressive light show was about a 10 minute walk away at the Grand Place. Every 15 minutes the Guild Halls and spires around the square lit up in time with a melody from the Belgian artist, Lost Frequencies. Although Christmas songs would have been nice, I still felt festive whilst sitting watching the Place illuminate whilst I sipped on a glass or two of wine. As the show plays often, it was worthwhile going back the next night to see the square from a slightly different angle too, and I spent a while appreciating the ambiance and watching fellow tourists’ faces light up whilst watching the lights for their first time. I only spent 2 days in Brussels before the chaos prior the Christmas truly began, but I fell in love with the beautiful architecture, incredible food and friendly people. I would happily put Plaisirs d’Hiver on the top of my list of Christmas markets in Europe to visit, and I will definitely be visiting again!